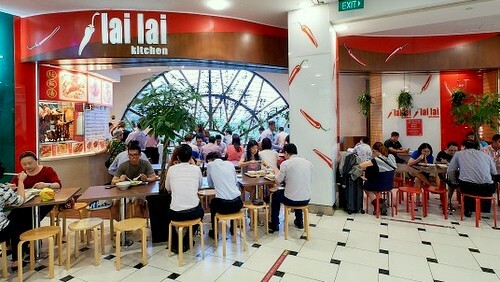 Lai Lai Kitchen restaurant operates within Singapore’s Jurong Point shopping mall, at 1 Jurong West Central 2. Serving traditional noodles and rice dishes, Lai Lai Kitchen is a popular, contemporary restaurant concept. The restaurant has take-out available as well as dining in a small and cosy seating area. Jurong Point, where the restaurant is located, is Singapore’s largest suburban shopping paradise with more than 400 retail & food and beverage outlets. Among the outlets are household names like FairPrice Xtra, Golden Village, Courts, Harvey Norman, plus there are three food courts (Kopitiam, Cantine, Malaysia Boleh) and a number of themed precincts.